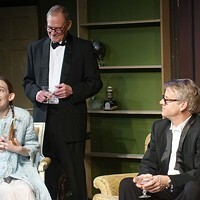 From left, Thomas Avery, Craig Brauner, Brad Knowles and Rick Jenkins rehearse a scene, with Music Director Janelle Musson at the piano, at right. "Miracle on 34th Street – A Live Radio Play" is a winner from the start. The story of a young girl and her mother who learn to believe in Santa Claus—and true love—opens at the Cascades Theatre Friday, winning out over a handful of options the Cascades creative team considered for its holiday production this year. It's going to look like an old live radio show, but will also have a live theatre audience. "I wanted something on a par with both Wonderful Life, an intimate radio show I directed in 2016, and Christmas Carol," director Juliah Rae says of the selection process. "A lot of things we looked at were funny, but they were not family-friendly fare." Writer Rick Jenkins says he culled elements from numerous iterations of the 1947 Valentine Davies story, while Rae and co-director Marla Manning, together with Foley artist (and real-life radio host) Mike Ficher, provided editorial direction. "Rick was doing the primary adaptation," Rae explains, "Mike was doing a lot of the format of the script, and I found things I thought could be clarified." Manning, who stepped in to co-direct with Rae, says: "My perspective, being the person invited to join later in the process, is seeing it evolve," she said. "For me, it's taking something that's very familiar and modernizing it, being sensitive to the social mores of 1947 vs. 2018, and filling it out. "It is a balancing act between the listening medium and the visual medium," she explains. "We're having the audience be our studio audience." Cue boxes will encourage viewers to applaud or laugh, for example, drawing them into the radio broadcast process. Rick Jenkins and Mary Hildebrandt as Kris Kringle and Susan. Jenkins will appear onstage as the real, jolly old Saint Nick, alongside Catherine Christie, Mary Hildebrandt and Thomas Avery as the skeptical mother, her daughter and mom's romantic interest Fred. At the same time, all of these actors are actually playing the roles of radio actors, gathering together to broadcast the show for their listening audience. A row of standing microphones takes center stage, flanked by music director Janell Musson (as Chanel Sheridan) at the piano on one side and Ficher (as Neal Stewart) at his sound effects table on the other. 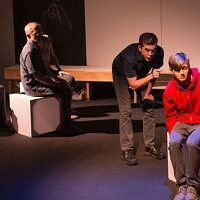 Ficher and others will switch roles at some points, transitions made plain only by changes in each actor's voice and gesture, with no changes of physical scene or costume. 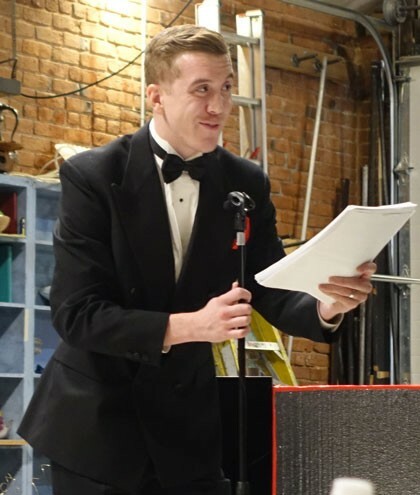 The audience will be able to see the sound effects table, though it could easily go unnoticed – exactly the intention of a radio play, but perhaps unfortunate for the Cascades Theatre audience. One might not notice, for example, how the subtle sounds of wind, soft footsteps or gently clinking teacups are enhancing the aural experience. "We're creating the sounds that would have been present in a radio broadcast in the 1940s," Ficher explains. He'll also strum a tiny wind chime to signal dream-like sequences. Craig Brauner plays radio host Sanford Cole. "There are some things we changed to relate better to modern sensibilities," Jenkins says of the team's undertaking. "There's a scene where the way the husband treated his wife in the 1947 play would be unacceptable today. We couldn't cut the whole thing – it's part of the story – but we modified it. That's the glaring example, but there's a lot of places where we changed a word because it doesn't mean the same thing now." 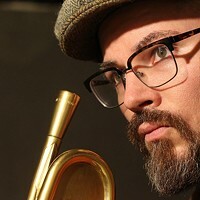 Jenkins says he hopes the show's unique radio aspect will allow audiences the freedom to engage with the story in a personal way. "I remember the day I learned to read," he says. "It was in the third grade. It was raining, so we couldn't go out for recess. We just all sat at our desks and were supposed to read in our textbooks. I took the literature book and by the end of the day they were movies. I would read a story and I wouldn't remember seeing the words, turning the pages; I would see the story. The ultimate goal, for me, would be for the audience to have my third-grade experience."